MINNEAPOLIS -- Minnesota's defense turned in another dominant performance and Latavius Murray rushed for 111 yards and two touchdowns, helping the Vikings secure a first-round bye for the playoffs with a 23-10 victory over the Chicago Bears on Sunday. Stefon Diggs caught six passes for 65 yards and a touchdown for the Vikings (13-3), who reached 13 wins for only the second time in the history of the 57-year-old franchise after holding a second straight opponent without an offensive touchdown. Mitchell Trubisky finished his rookie season with a turnover-free game, completing 20 of 36 passes for 178 yards. He failed, however, to guide the Bears (5-11) across the goal line despite 11 plays from the 10-yard line or closer in the fourth quarter. Trubisky also took a safety in the second quarter on an intentional grounding call when Danielle Hunter and Linval Joseph closed in on a sack in the end zone and he side-armed a throw between the two pass rushers. In what could have been the final game for coach John Fox, who's 14-34 in three seasons, the Bears didn't cross midfield until the fourth quarter and totaled only 30 yards rushing. They were penalized 10 times for 116 yards and went 1 for 14 on third and fourth down conversions. The Bears are 1-5 against each of their three NFC North foes under Fox. After a 31-24 loss at Carolina on Dec. 10, the Vikings took advantage of teams playing out the string in the last three games to get set for the playoffs. Murray has rather quietly been one of their most productive players down the stretch, helping the Vikings move the chains and work the clock while the defense holds the lead. Over the past two years, only Ezekiel Elliott (22 for Dallas) has more rushing touchdowns in the NFL than Murray (20, including 12 for Oakland last season). 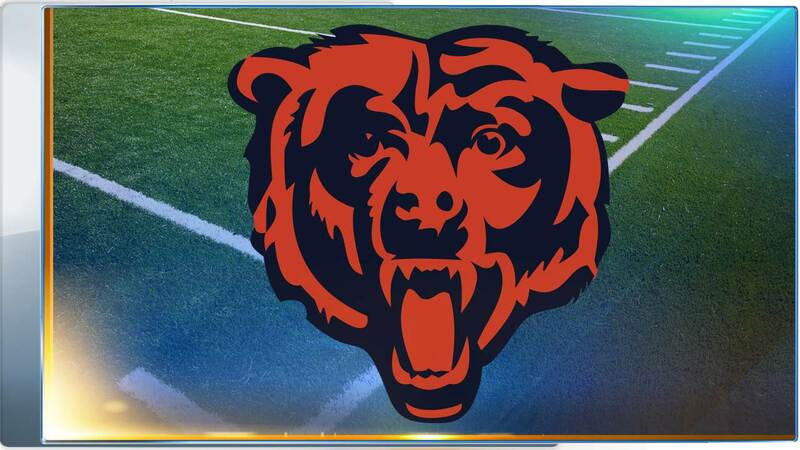 The Bears stopped a streak of 90 minutes and 32 seconds by the Vikings without allowing a score, when Bryce Callahan returned a punt 59 yards for a touchdown with 5:50 left in the second quarter. Callahan knelt near the sideline while Tarik Cohen lined up on the opposite side as the expected returner, before sprinting for a sliding catch of the kick that hung over the middle of the field. He leaped to his feet and veered left past the confused Vikings and untouched for the score. The Bears pulled a pair of fast ones on the Vikings in their matchup earlier this season, when Benny Cunningham caught a pass from Pat O'Donnell on a fake punt for a 38-yard touchdown and Trubisky scored on a 2-point conversion play when the ball changed hands four times. The Vikings finished 12-2 four times with a 14-game schedule (1969, 1970, 1973 and 1975), but the only other time they've topped 12 victories was their 15-1 record in 1998. ... Diggs became the fastest player in Vikings history to reach 200 receptions, in 40 games. ... Adam Thielen had six catches for 61 yards and finished with 91 receptions for 1,276 yards for the season, finishing seventh and ninth in team history. Randy Moss and Cris Carter are the only ones ahead on either list. Vikings quarterback Case Keenum took his share of hits and never quite found the rhythm in the passing attack he was able to establish in most of his starts this season, behind an offensive line that has shown some wear down the stretch as the injury list has increased. Joe Berger, who switched from right guard to center with Pat Elflein shelved for a shoulder injury for the second time in four weeks, was the only original starter to play in all 16 games. Mike Remmers moved from right tackle into Berger's spot. Jeremiah Sirles started at left guard for Nick Easton, who will miss the playoffs because of a broken ankle. Bears: Two starting offensive linemen, LT Bobby Massie and RG Josh Sitton, did not suit up. Vikings: FB C.J. Ham hurt his neck and was ruled out early in the third quarter. The Vikings enter the NFC playoffs with a bye for only the fourth time since the current format began in 1990. They'll host one of the wild-card round winners on Jan. 13 or 14.